Cafe Gray Deluxe has always been high on my list of favourite restaurants. The food is as delicious as its view over Hong Kong harbour is beautiful – and that combination is rare. 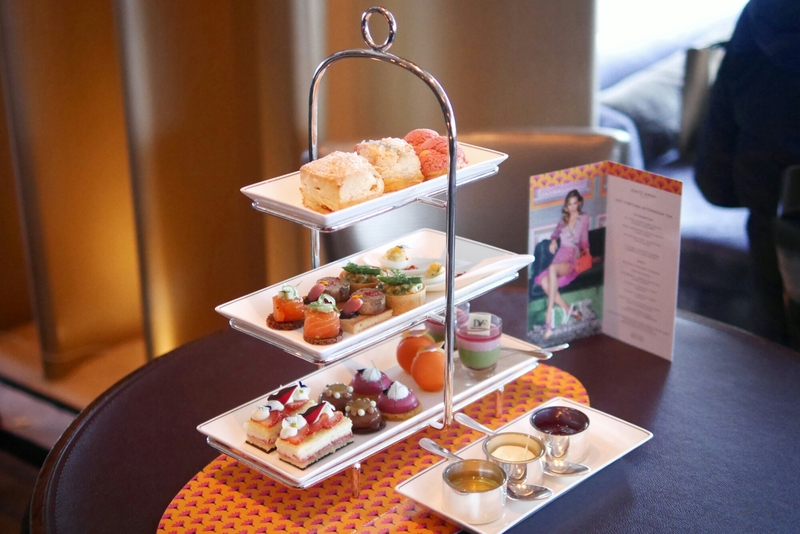 Heading into the restaurant with high expectations, their latest Diane von Furstenberg (DvF) “Fortuna” Afternoon Tea set still managed to impress me all over again. Cafe Gray often does collaboration with the most famous luxury brands – they did it with Elie Saab and Diptyque last year. Now I’m feeling extremely gutted for not trying it back then. The latest tea set collaboration is designed in line with DvF’s spring collection and the colours are so inviting and cheerful. 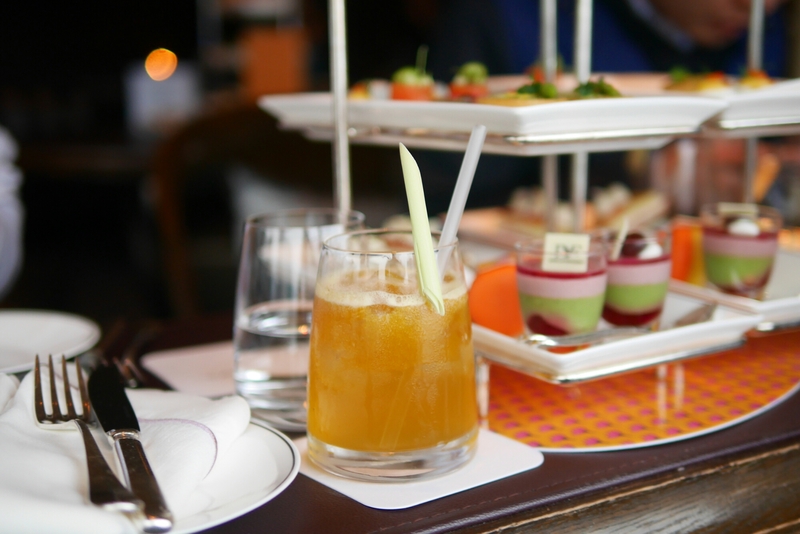 It’s an afternoon tea that will promise perfect ambience and all things aesthetic. But more importantly, the set features a good variety of sweets and savouries. The food is among my favourite of tea sets I’ve tried in Hong Kong! Scones and clotted cream are the top most important components of any afternoon tea set (to me) and the ones here are spot on. The scone is perfectly crumbly with some moisture too. It was an apricot scone which usually would turn me off completely (does anyone actually love apricots? ), but it didn’t bother me at all. It was just a good scone. The clotted cream was also real clotted cream! 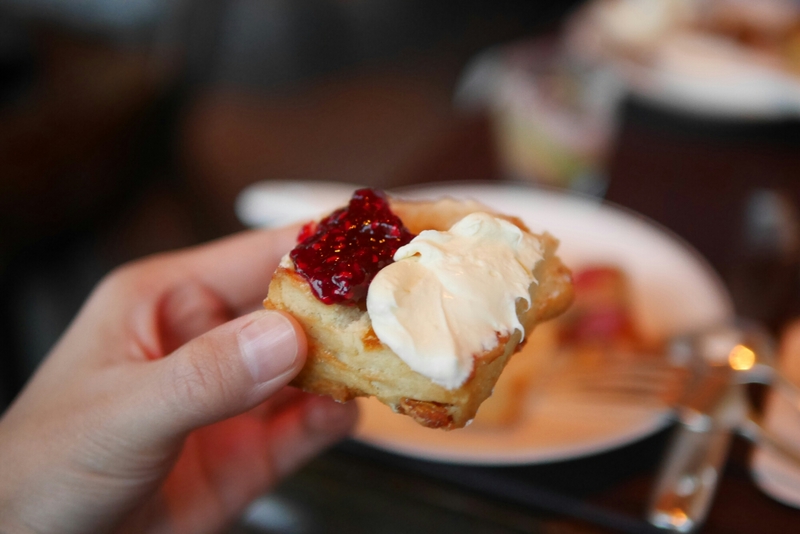 Well to be fair, many hotels do a decent clotted cream but I think this one was an especially good one – smooth, thick and tasty. The pink cookie crusted hazelnut choux was an unexpected highlight! It didn’t look like much more than a pretty pink thing, but it was bursting with a thick, smooth and creamy hazelnut filling. It was a super satisfying sweet item. The savoury items were also made well. I’m partial to salmon so that was probably my favourite. The quail egg was delicious (though teeny, as they are). The asparagus ricotta tartlet was decent too. 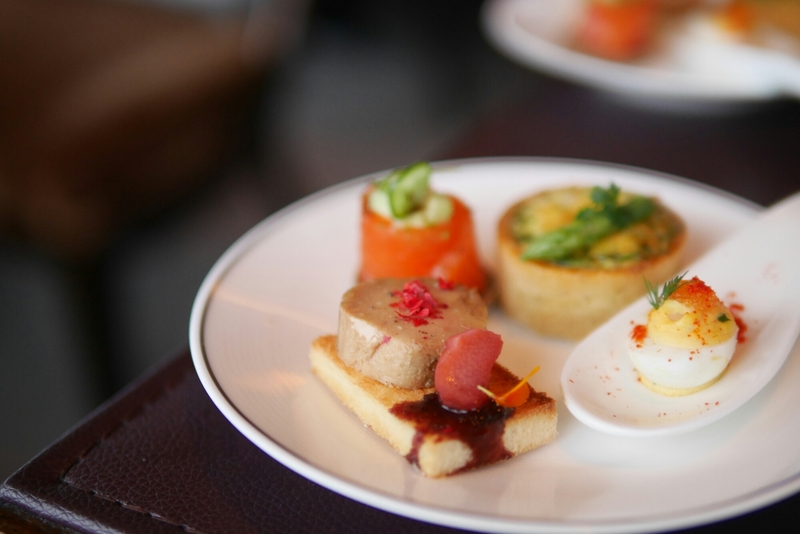 Perhaps the most outstanding item was that huge slab of foie gras on toast – it was such a generous portion! The dessert items were the prettiest ones too. They were the items most obviously heavily inspired by DvF. There were lots of berries involved, which not only brightened up the set up, but also made the desserts quite refreshing and not too heavy. The orange and yellow sea buckthorn berries macaron was an interesting one, while the green-tea coupe was probably my favourite. Cafe Gray Deluxe’s latest afternoon tea offering is a collaboration with Diane von Furstenberg and is available for a limited time only from 5 April – 15 May 2016, everyday from 3:30pm to 5:30pm. 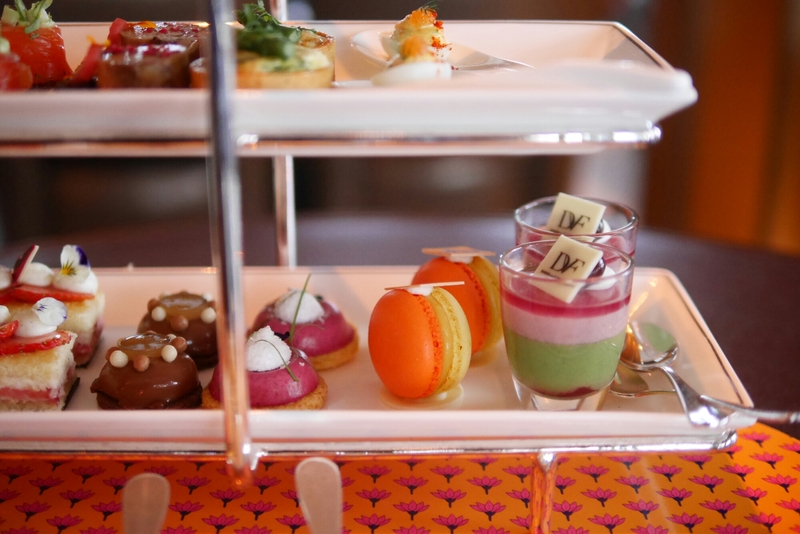 Make sure you get your bookings in early because this afternoon tea is definitely worth a try. The afternoon tea at Cafe Gray Deluxe is not exactly economic. It costs HK$310 per person or HK$560 for two. But considering the location and the quality of food, I would still highly recommend it, especially for those who have yet to try any one of Cafe Gray’s afternoon tea sets.